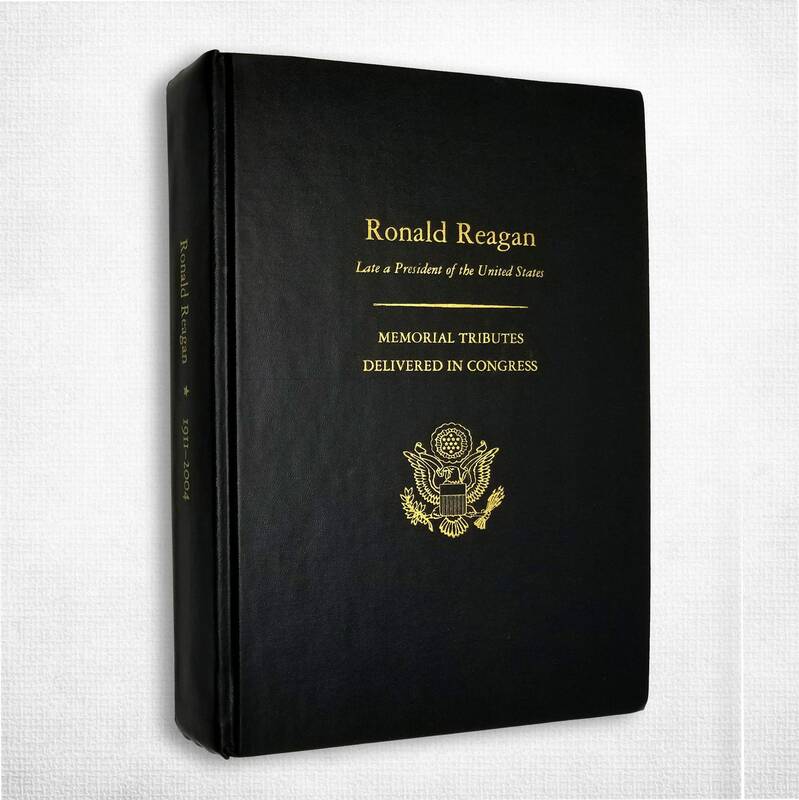 Description: The official volume of memorial tributes delivered in Congress after the passing of President Reagan in 2005. 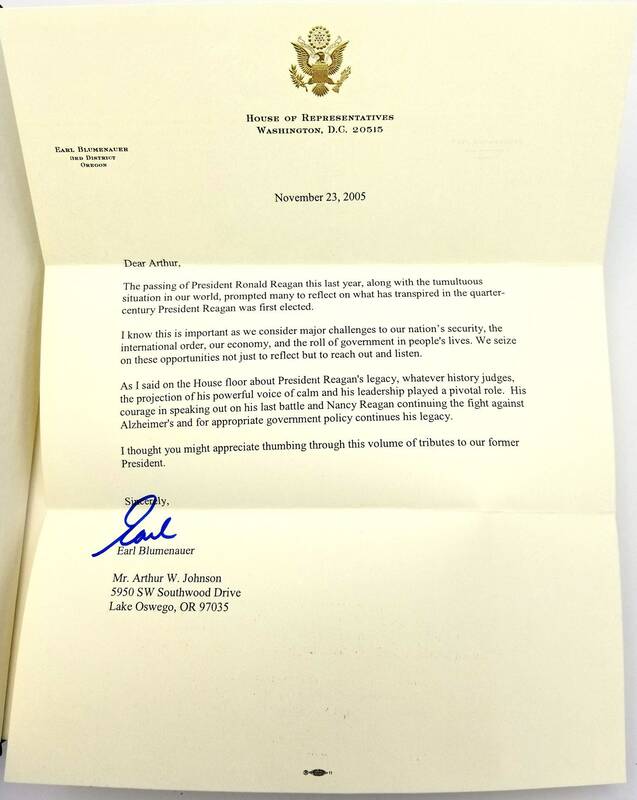 Laid in is a signed presentation letter from the US Representative from Oregon, Earl Blumenauer. Boards are lightly rubbed; corners very slightly rounded. Interior is clean. 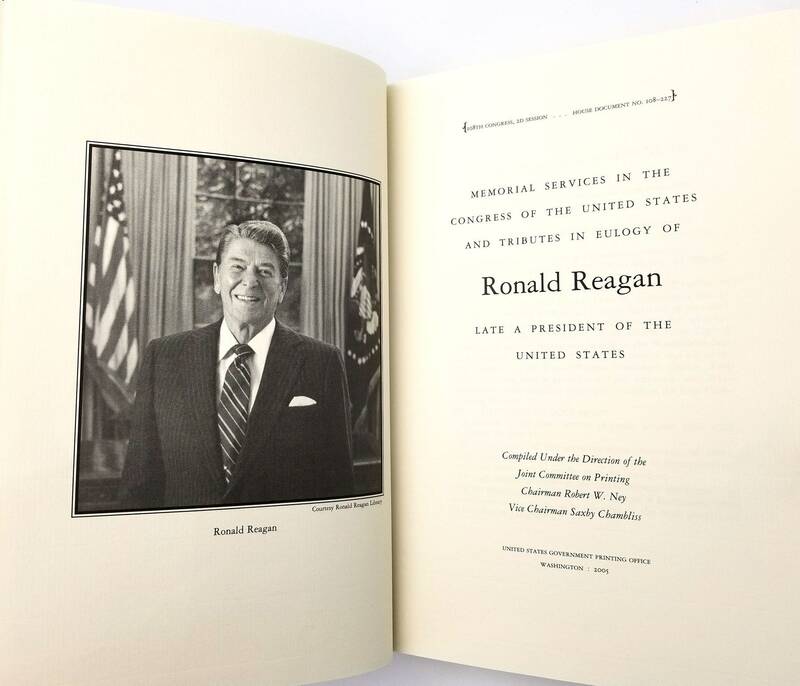 Size: 10.25 x 7.25 inches.